The kids are back in school and cooler evenings have arrived to Jacksonville, North Carolina. Jacksonville drivers may encounter slippery roads, higher winds and cooler temperatures. Take advantage of this time of year to make sure your vehicle is ready for the fall weather. Also, October is Fall Car Care Month so now it is the perfect time to give your vehicle some TLC. 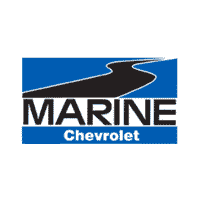 Whether you do it yourself or take your car to a professional service technician, Marine Chevrolet recommends five proactive steps to make sure your car is ready for fall driving. Basic car care goes a long way toward improving the safety and dependability of a vehicle. You can also download a car care guide here with the National Car Care organization.